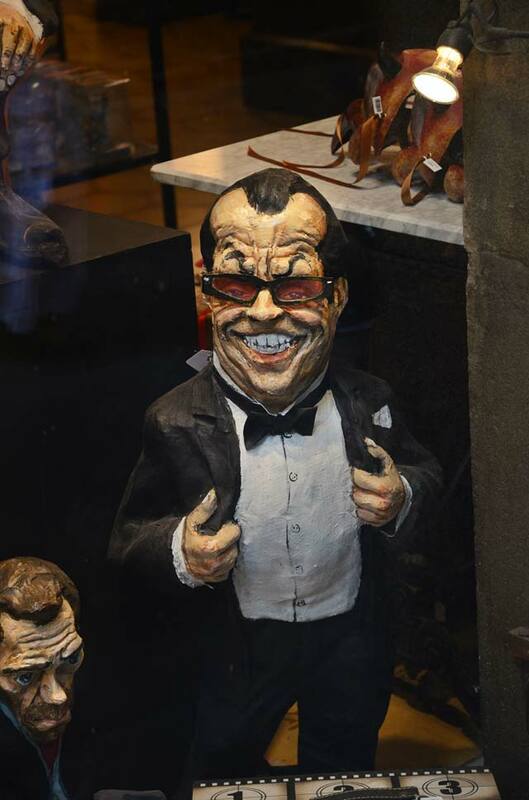 Yet another famous actor in papier mache at the same shop at carrer del Bisbe, near Plaça Sant Jaume in Barri Gotic, Barcelona, the one and only, Mr. Jack Nicholson with his eternal smile. Dr. House who appeared in a very successful post here in Barcelona Photoblog in the past, has been moved as you see to a less favorable place in the display. Jojo, sin duda nos pasaremos en nuestra próxima visita a Barna, el de la foto a la izquierda es House, no?. This caricature is hysterically funny. And dead on. No mistaking who this is. All the pieces in this series are very well observed and well executed.